HighlandRocket sends the AWAY BACK TAE THA LOBBY! Discuss how you acquire money and disregard cops in Rockstar's GTA V here! Read up on all details regarding the fourth installment in the Black Ops Series. Find your way around the Red Dead Redemption 2 world, guides to achievements, cheat codes, RDR2 discussions, Red Dead 2 glitches, and help to figuring out how to finish the game. Grab your weapons and friends to take on Husks and Heroes in Fortnite! The world needs more heroes! Football, Soccer, Hockey, and whatever else that involves men or women knocking around objects can be found here! A collection of old games, retired into one convenient place. Can't find a dedicated forum for the game that you want to discuss? Here's the place to do so. Discuss any game for any platform. Find all your Xbox One discussion, resources, and tutorials here! Waltz on in for Xbox 360 discussion, resources, and tutorials! Need info on the Playstation 3? 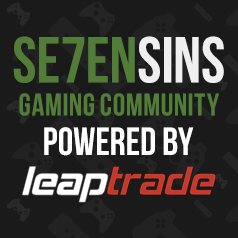 Look at PS3 discussions, resources, and tutorials here! Learn how to mod your PSP, downgrade firmware, mod firmware, add homebrews, and more. Find tutorials for your PSP here. Discuss anything Nintendo Wii or Wii-U here. Games, homebrew, and customizations. Post your Nintendo DS or 3DS information here. Learn how to build a computer and how to pick out your hardware. Learn how to make sigs, avatars, large art, and more! Post tutorials to help others get on their way to learning how to make graphics. Post your editing/animation tutorials or show off your newest animation. PC gamers unite! All PC gaming related discussions go here. Sometimes you don't know everything, get some help in here. One stop center for all your mobile device needs! Learn to jailbreak, mod, and unlock your iPhone, iPod touch, and iPad here. Inquire about your Android devices here!